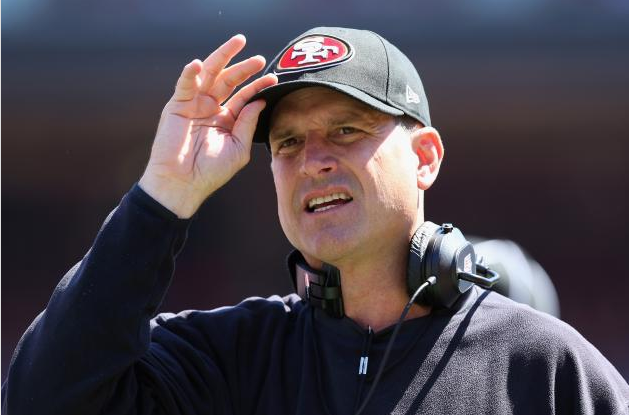 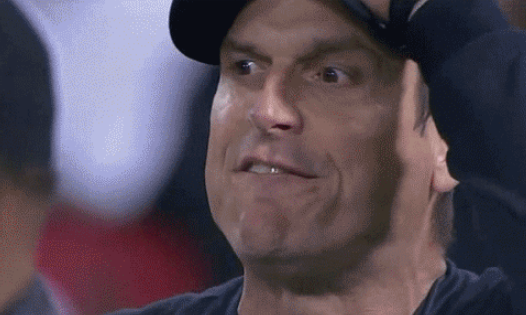 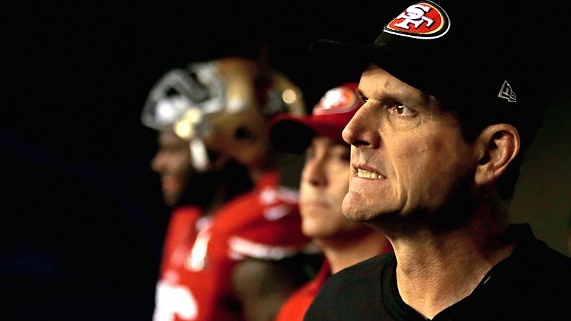 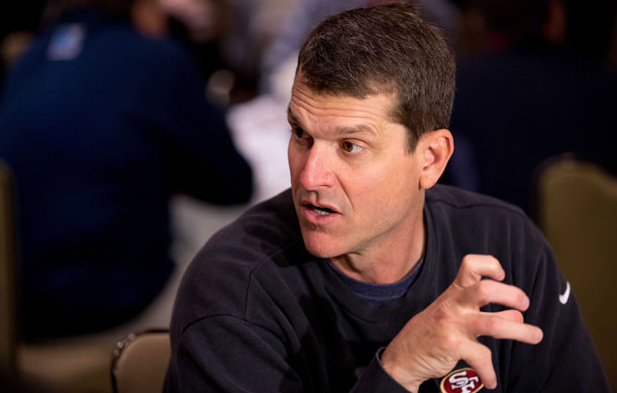 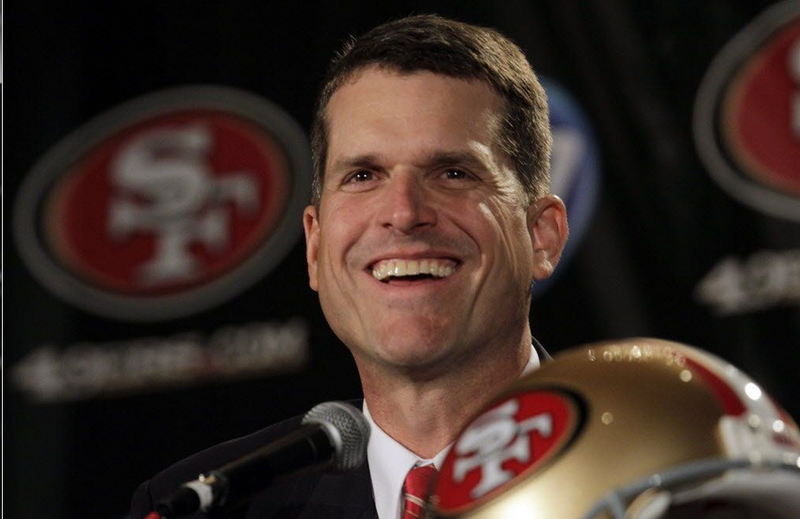 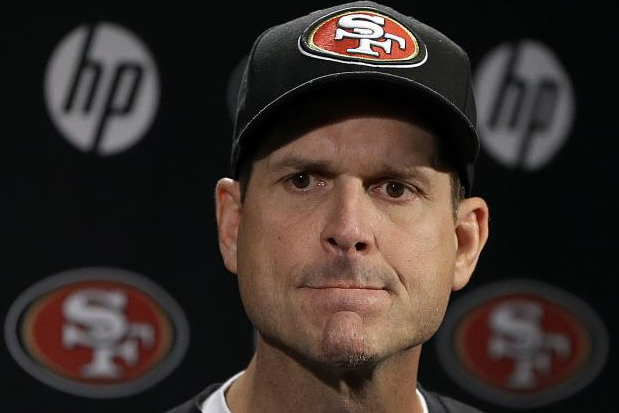 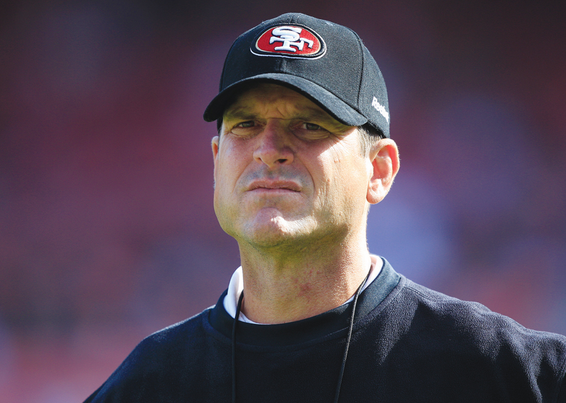 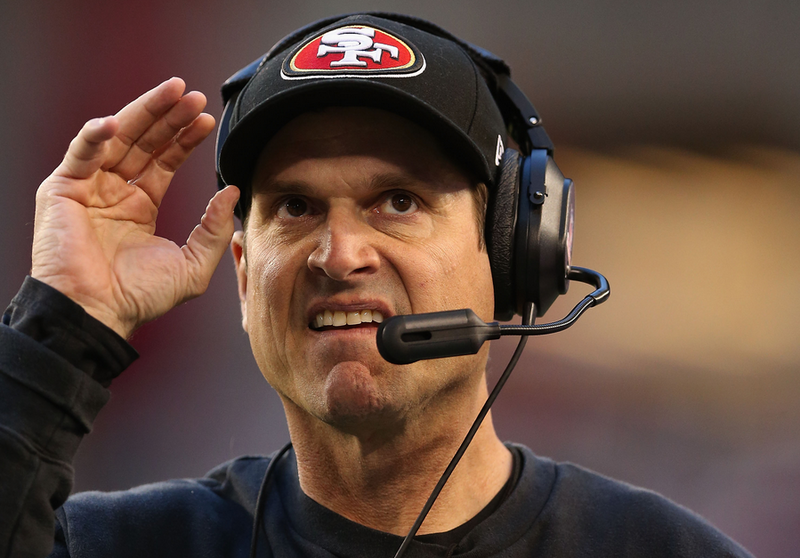 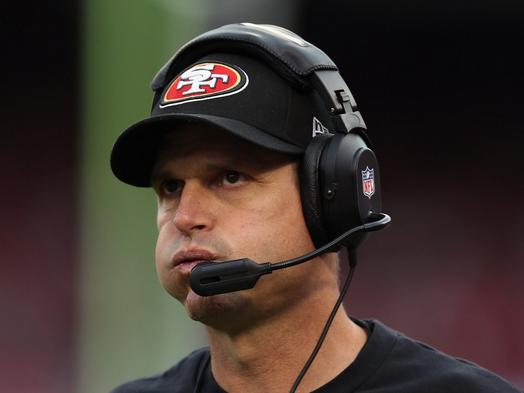 Rumor has it that the University of Michigan will reportedly offer San Francisco 49ers coach Jim Harbaugh a 6-year, $49 million paycheck to become their next head coach. 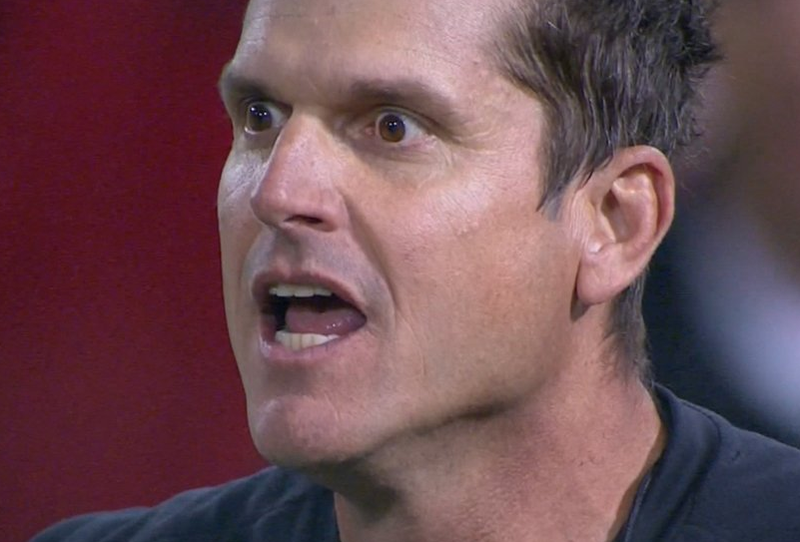 Of particular note is his extreme Jaw Jut, Squared-off mouth opening, baring of his bottom teeth, with both tense eyelids along with significant mid-face tension. 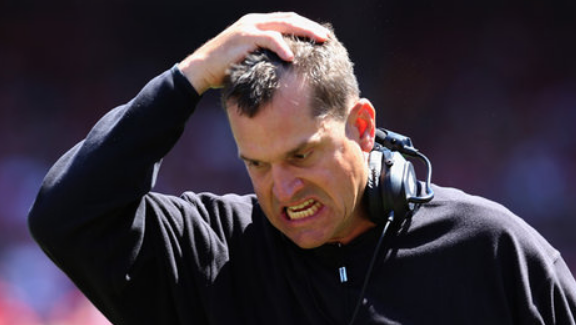 What emotion is the Coach suppressing here?